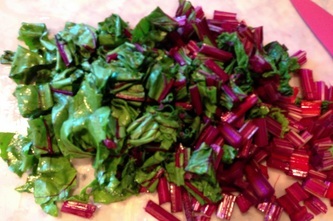 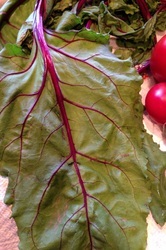 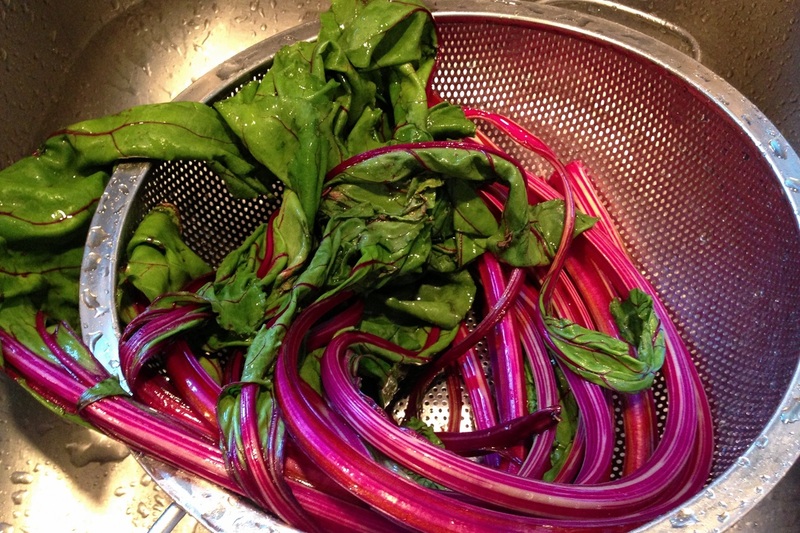 I was at the Farmers Market recently and was looking at beets and all I could see was the beautiful leaves and colorful stems and decided that I had to do a soup featuring not the beet itself but the GREENS of the beet. 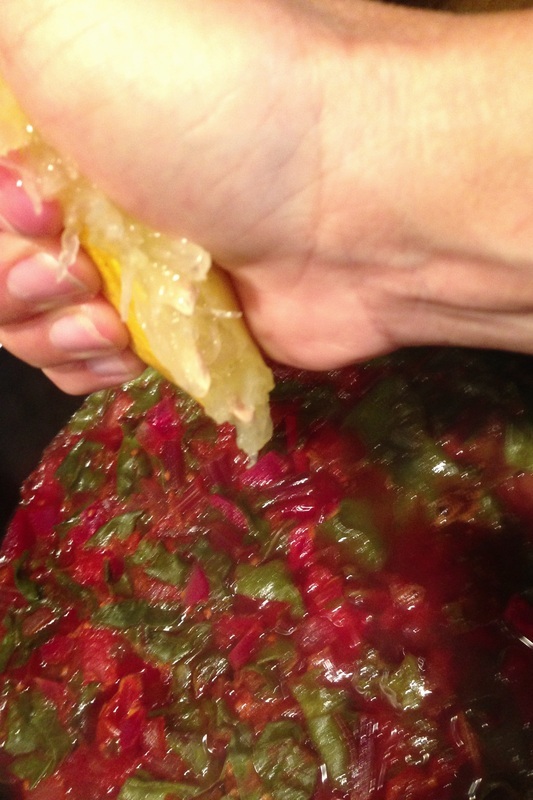 This is how this soup was created. I used cilantro as my additional green but if you don't like cilantro you could very easily change out this herb for another fresh green herb that you love. When shopping for veggies try and think outside the box. Look around and see the beauty of the entire vegetable, it is really fun! 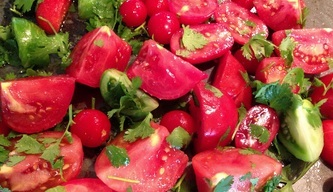 .Roast tomatoes in oven for 30 minutes at 400 with a drizzle of olive oil and a sprinkle of cilantro. 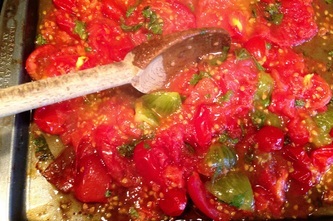 Smash/Crush the tomatoes with the back of a spoon. In a large soup pot saute onion in a drizzle of oil until translucent. 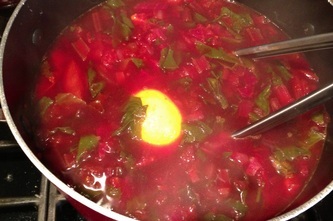 Combine all ingredients to soup pot and bring to a boil. 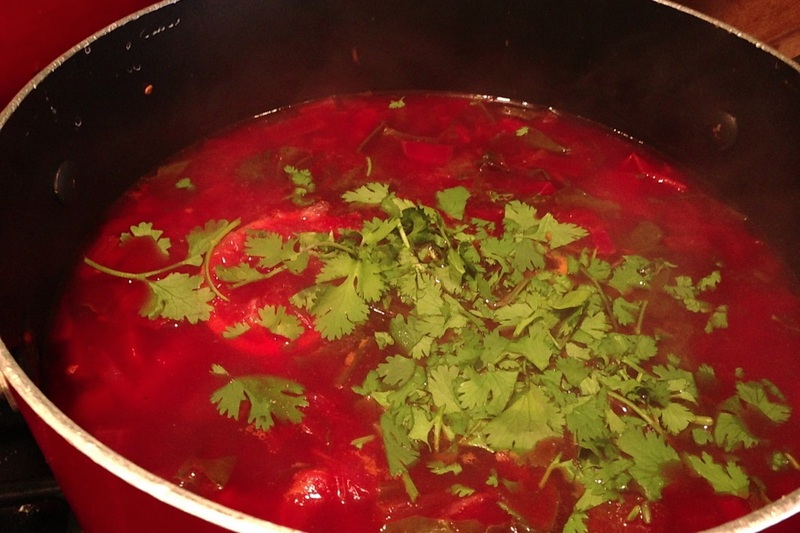 I used water as this soup is full of flavor without using stock. 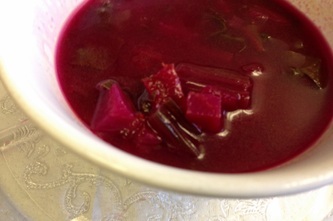 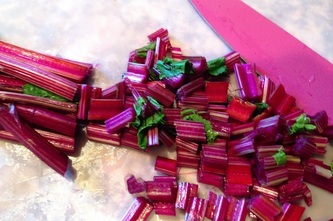 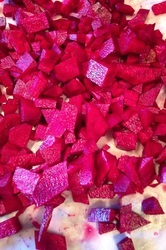 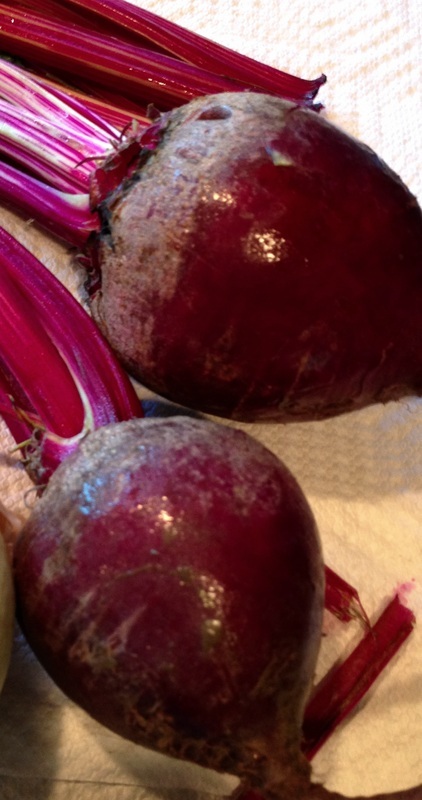 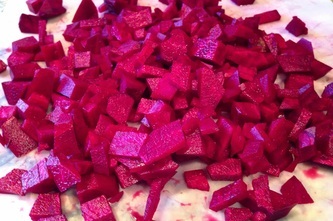 Reduce heat and cook until beets are fork tender about one hour. 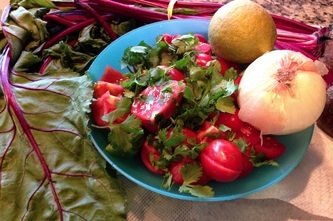 Add cilantro and juice of one lemon., cook five more minutes. 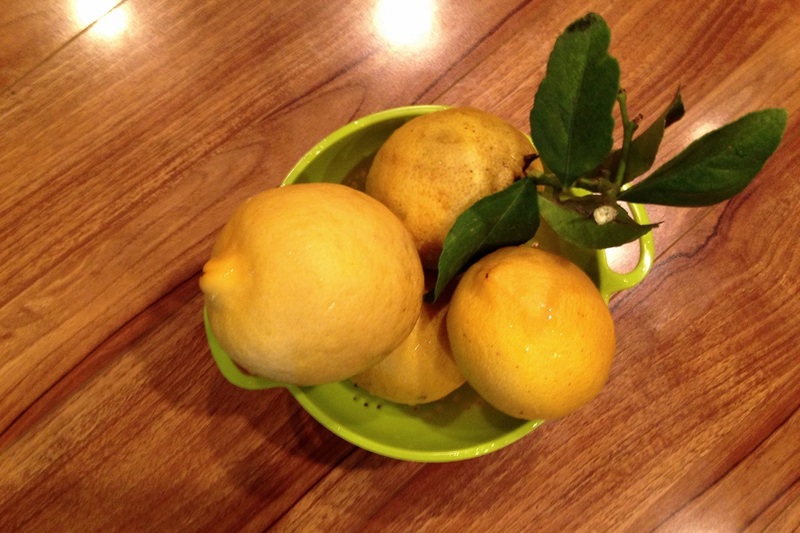 If you don't like a lot of citrus start with the juice of one half lemon, taste and adjust. 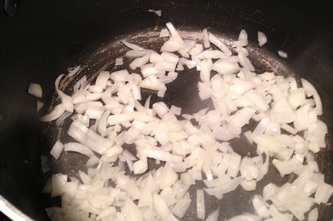 I dropped a lemon half in so I decided to leave it in, I removed when soup was finished cooking. 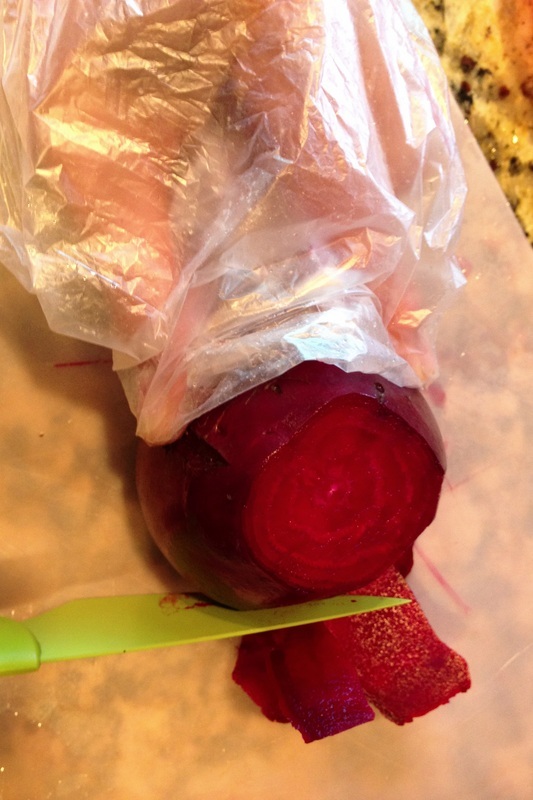 My hint for peeling and chopping beats: I use a plastic bag that you get from the grocery store when bringing home produce. 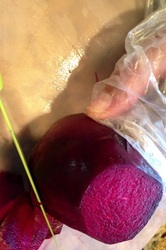 I cover my hand with the bag which gives my fingers lots of space to move and no staining on my hands. Of course you can just toss to the trash when finished. 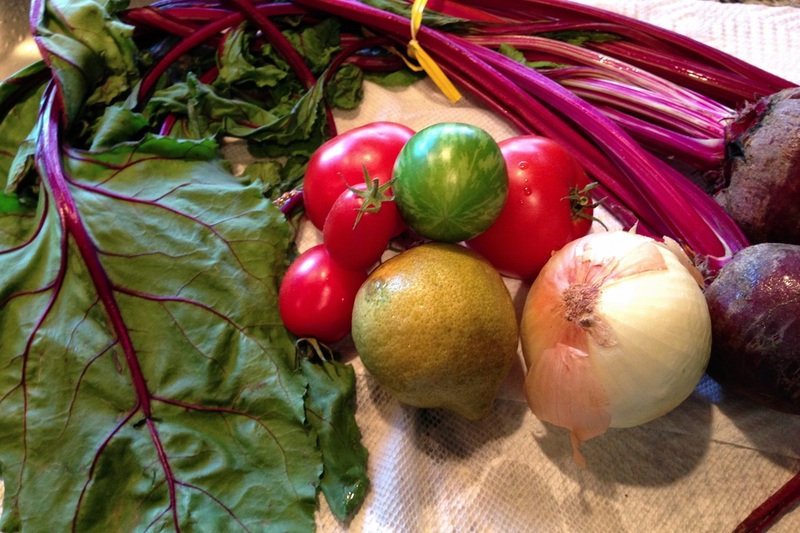 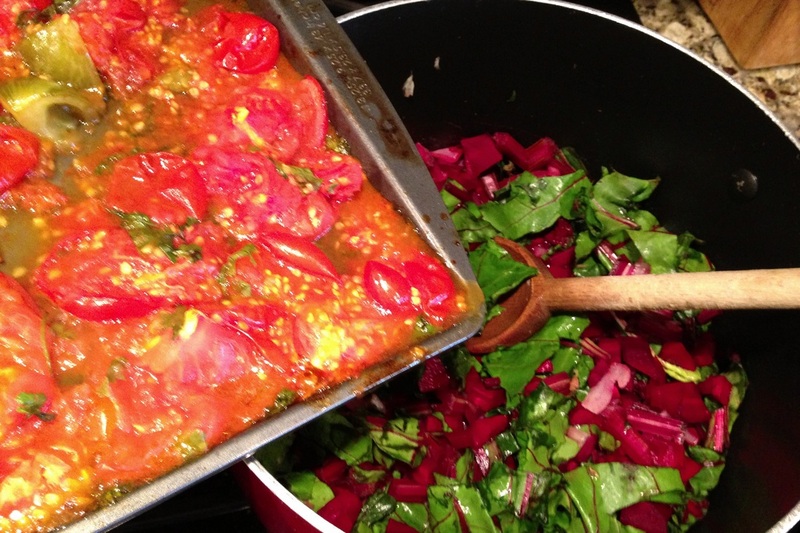 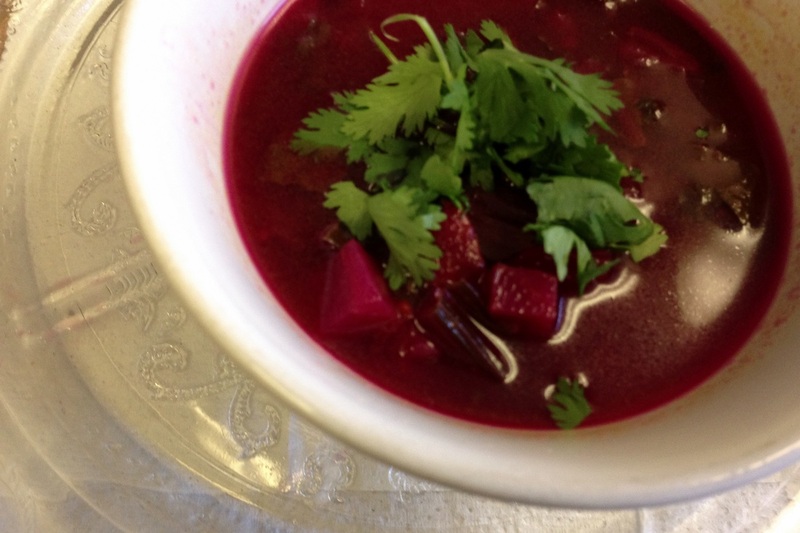 The colors of this soup with the roasted tomatoes and fresh beets are so beautiful. 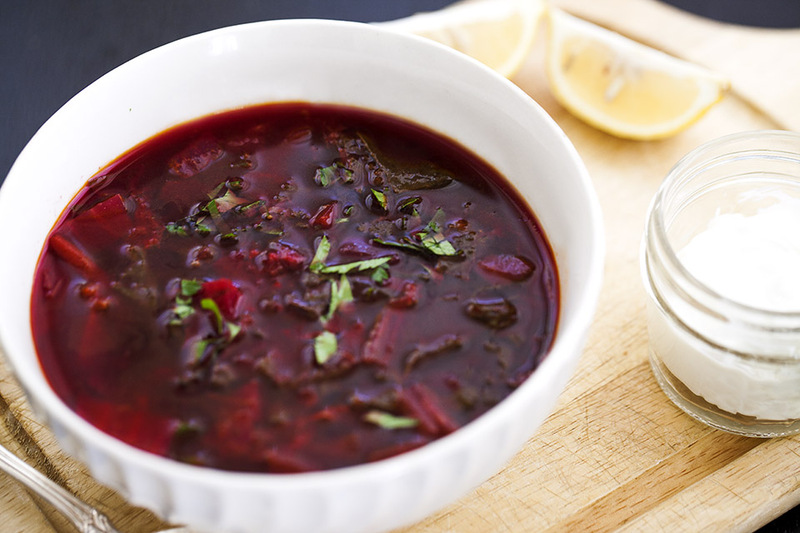 This soup is full of flavor and so healthy. I hope you love it, it is delicious and good for you.